Serengeti Northern Park is the most famous park in the world because of the migration. 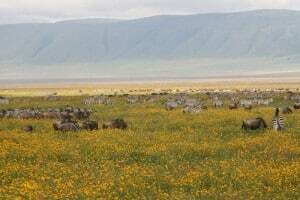 The Serengeti is Tanzania’s most famous National park, also worldwide it enjoys a large reputation. 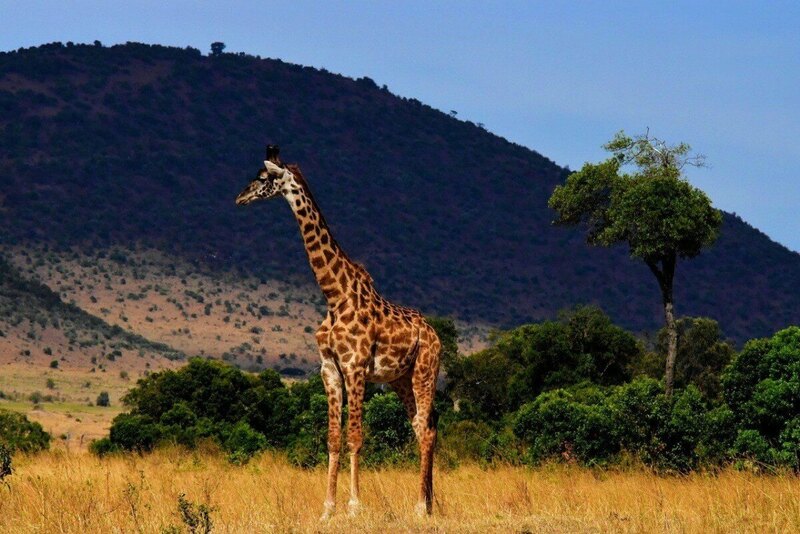 With 20,922 square km it is the second largest National Park of Tanzania. The word Serengeti has been inferred of the word ‘ Siringit ‘ that the Maasai use for ‘endless grass plains’. Especially the tens of thousands of animals which graze the plains and savannas of the Serengeti, among them are zebras and wildebeest, is a great experience. The grass plains cover more than 1/3 of the park, that’s why you will encounter wild animals here all year long. Also the lions, hyenas, cheetahs and leopards which hunt these grass eaters are seen all year long in the park, and further you see also the spotted hyena, eagles, wild dogs and Egyptian vultures which eat the left overs. Furthermore you will see; Thomson gazelles, Grant’s gazelles, ostriches, giraffes, klipspringers, impalas, hartebeests, buffalos, several types of sulk and antelopes, hippopotamuses, Nile crocodiles, elephants, and dikdiks. You also see a large mixture of monkeys and exotic birds, there have been counted approximately 350 different types of birds in the Serengeti National Park. From the end of December up to the middle of March the animals give birth, in this period approximately there are born 8000 young animals a day (about every 20 sec a calf is born), only 60% will survive the first four months. It is difficult to indicate exactly where and when the migration takes place, the animals walk where the grasses are fresh(see map), if the grass is finished they depart to another area. 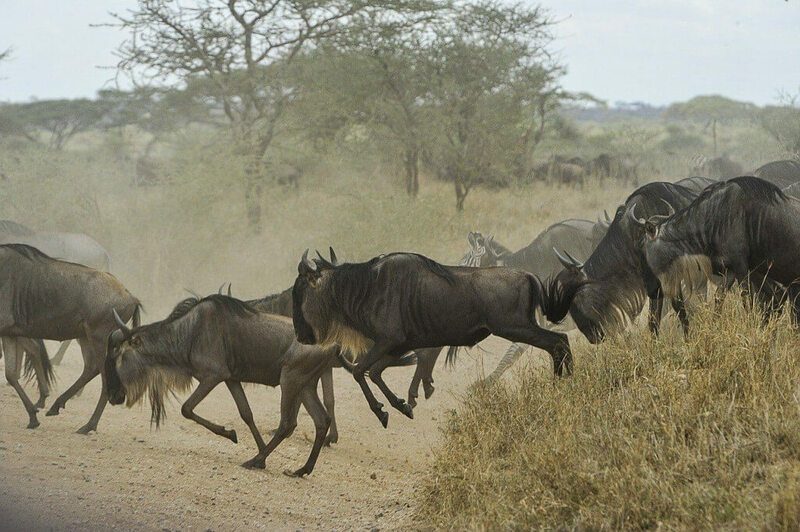 This migration in the Serengeti is the largest animal removal in the world. 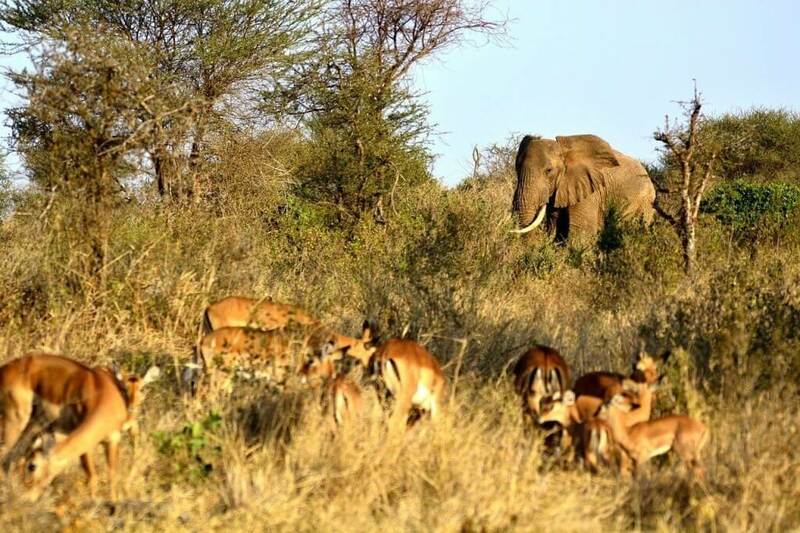 In May the groups of animals graze in the west of the Serengeti between the Grumeti and Mbalageti River, here they mate. In June and July their ways separate, large groups move to the east, whereas other groups move to the north, here they graze for a number of months along the Mara river, to move in October southwardly. There are large groups that graze the grass plains of the Serengeti, about1.5 millions wildebeest, 300.000 Thomson gazelles and 350.000 zebras. Furthermore large quantities of flamingos and other water birds live at Lake Ndutu, and in the west at the Grumeti river you will find large groups of hippopotamuses and Nile crocodiles (largest of Africa), the crocodiles are waiting for the wildebeest and zebras to cross the Grumeti and Mbalageti river.